VMware has struck a deal to acquire enterprise Java vendor SpringSource for $US362 million. VMware said the acquisition, announced Monday afternoon, will lead to new products making it easier to build, run and manage applications both internally and on external cloud platforms. The privately held SpringSource has already approved the acquisition, which is expected to close in the third quarter, according to VMware. SpringSource, founded in 2005 with headquarters in San Mateo, Calif., makes Web application development and management tools with a heavy emphasis on open source. Web application development goes beyond VMware's core expertise of server virtualization, but the company is trying to position itself as a management vendor for all aspects of cloud environments. "Today's modern computing environments are moving to an application and data-centric world powered by state of the art virtualized and cloud computing platforms," VMware CEO Paul Maritz said in a statement on the acquisition. "The combination of SpringSource and VMware capitalizes on this shift and places us right at the intersection of the most important forces in the software market today -- virtualization, modern application frameworks and cloud computing." VMware and SpringSource together will help customer data centers and cloud providers host platform-as-a-service offerings that let end users build Web applications. VMware indicated these platforms will rely on its own hypervisor technology, but also pledged to support open source. "VMware plans to continue to support the principles that have made SpringSource solutions popular: the interoperability of SpringSource software with a wide variety of middleware software, and the open source model that is important to the developer community," VMware said. SpringSource itself has been acquisitive, for example purchasing system and application management vendor Hyperic in May, and in November acquiring G2One, which provides training and support for the open source Groovy language and the related Web application development framework Grails. 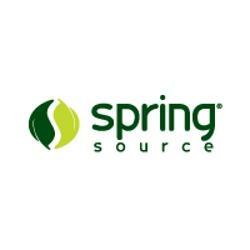 SpringSource's technology is used by a majority of Global 2000 companies, and the open source Spring Framework supports half of all enterprise Java projects, according to VMware. SpringSource is also responsible for Apache Tomcat, the world's most widely used Java application server, the company said.